The simple answer is no, but it can help. However, it can also make things more difficult if you know Mandarin. Here are a five ways that Mandarin ability can be a help, but also a hindrance, to English teachers. If you’re teaching English in China then the usual assumption is that you can’t speak a word of Mandarin. Or that any Mandarin you do speak will be a cute but ultimately laughable attempt at the language. Because of this schools employing foreign teachers in China will often treat you more like an expensive pet than a member of staff. That is, they will do almost everything for you, from opening up a bank account to renewing your visa. If you are, or later become, competent in Mandarin you could very quickly find this preferential treatment dry up. If the school know you can translate your own CV and apply for your own residence permit then they will usually try to save their own time and money by getting you to do it. Of course this isn’t necessarily a bad thing. Most people who have worked very hard to learn Mandarin would like the added challenge and opportunity to use their new found language skills. Another point to consider is that if students know you understand Mandarin their motivation to speak to you in English can drop dramatically. As a teacher it can also be easy to get lazy and start explaining things in Mandarin because it’s easier than thinking of ways to explain it in simple English, thus damaging the language environment of your classroom. The best way to learn a language is in context and if you start saying simple things such as “get out your textbooks and turn to page 16” in Mandarin just because it’s easier and gets a quicker response then you’re actually denying the students repeated exposure to English in a real context. Learning another language, any language, makes you a better language teacher because you can empathise with your students. You also have a good idea of what teaching/ learning methods did and didn’t work for you, and what worked for you will probably work for your students too. However, if you learn Mandarin it gets even better because you understand the language your students are using to think when they speak English (assuming they aren’t advanced students who have reached the stage of thinking in the target language). If you have a high level of Mandarin you are able to look for and even pre-empt their mistakes very easily. Despite this it’s important to remember that not everyone is the same. It can be easy to start believing the methods you used to learn a foreign language must work for everyone, or that they’re the only valid methods, and so learning Mandarin can potentially make you less open-minded. Even worse, many native English speakers find their use of the English language is affected by their knowledge of Mandarin, to the extent that they start accepting grammatically incorrect “chinglish” from their students because, in the mind of someone who also speaks Mandarin, it still makes sense. Also, if you’re lucky enough to be naturally gifted at languages it can be frustrating and easy to get impatient when less gifted students struggle. A frustrated or impatient teacher is a bad teacher. One of the most profitable areas for ESL teachers is getting private students. By cutting out the middle man that is a training school you can essentially pocket all the money for yourself, and it usually works out at far more per hour than you would ever get doing a part time student job in your own country. If you can’t speak Mandarin it is a lot more difficult to get into the private student market. Private students often have a very low level and you need to at least have enough Mandarin to tell them how much you charge and arrange the class time. But even more often you need Mandarin to be able to speak to the parents of private students, since most will be school children or teenagers. Parent’s want to be able to speak to their child’s teacher and know what you’ve taught or will teach. If you’re able to do this the amount of money you can potentially make goes up dramatically. Also, many parents can’t speak any English and therefore have no way of judging if you’re a good teacher or not. If you speak Mandarin they will often take this as evidence that you know about languages and so must be a good language teacher. 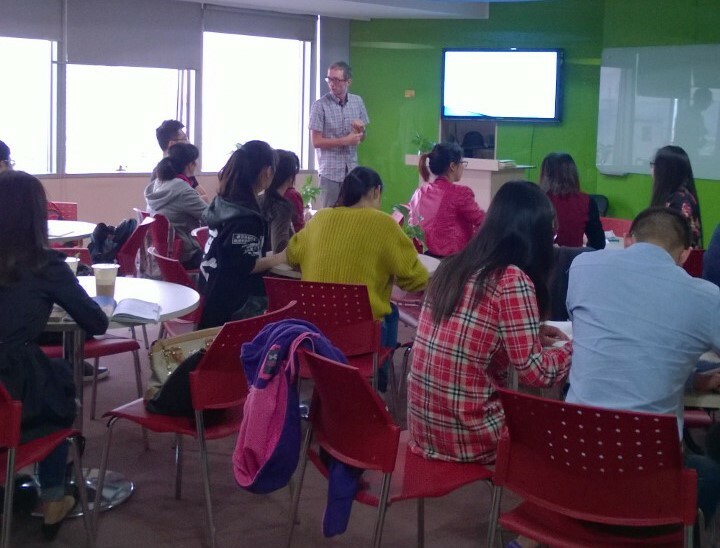 I was recently offered 300RMB (£30) per hour to teach a high school girl who is going to study in Britain. When her mother found out I could speak Mandarin and Japanese the amount she offered doubled to 600RMB (£60). I didn’t ask for that much money, she just assumed I was worth that much. I’m not so sure I am. The downside is that if your Mandarin is very good then you can quite easily find yourself receiving a constant stream of phone calls from concerned parents requiring endless updates on their child’s progress and minute-by-minute details on lessons. For some this is seen as a good opportunity to use the Mandarin they have learnt. For others it can just be annoying. Maybe it is best to have enough Mandarin to get a private student and arrange the class time, but not be so good that annoying parents phone you up at all times of day for in-depth discussions about their child. Teaching English in China obviously isn’t something you do in isolation. 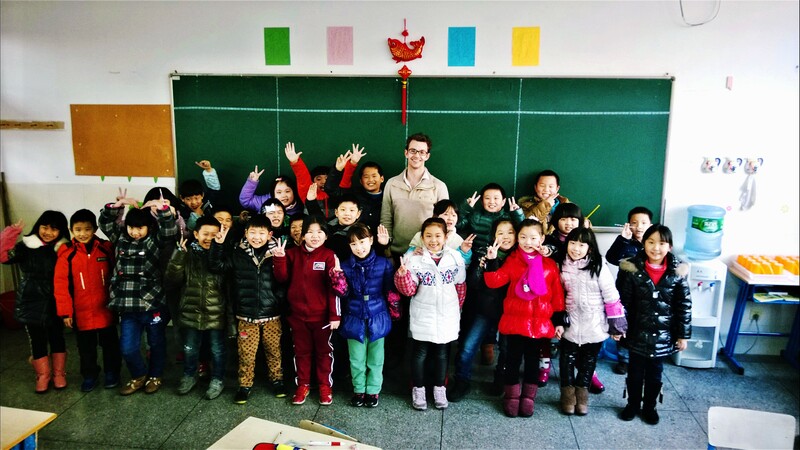 Although as a teacher it is in many ways better if you can’t speak Mandarin, as an individual living in China a basic grip of Mandarin is very important. Your experience and understanding of the living in China will change and develop as you learn more Mandarin. And the good news is that Mandarin really isn’t very difficult compared to other languages. If you don’t believe me then click here to check out this post on 5 reasons why Mandarin is easy. This entry was posted in Teaching English in China and tagged China, mandarin, teaching english. Bookmark the permalink.